At the end of the MLKD program the Food Fest opened to a crowd of hungry and interested folks. 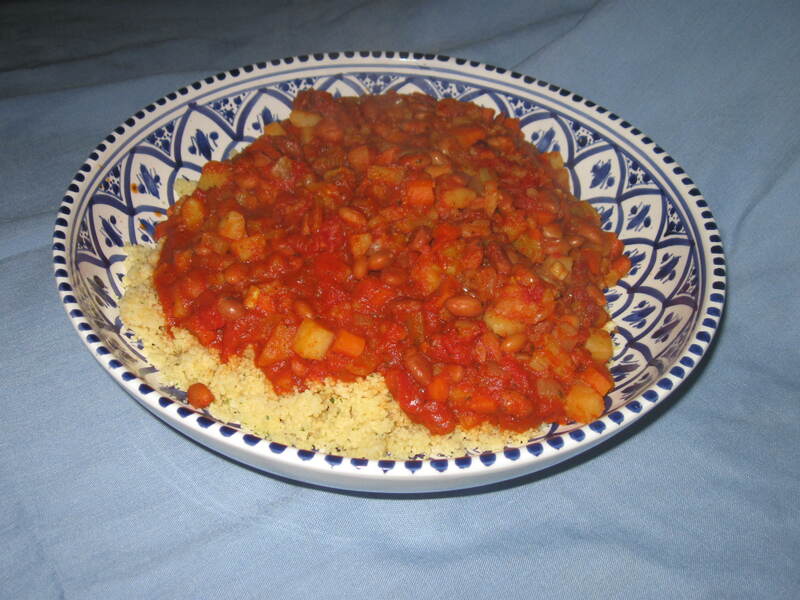 We featured food from Morocco, a North African country on the northeastern side of Africa. 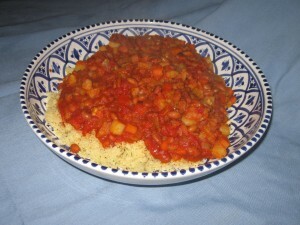 Moroccan stew with couscous is a whole meal in one dish, several vegetables, beans and potatoes served on top of a generous pile of couscous. The meal is topped off with a Coconut Ghribas, a perfect way to end any meal. I was delighted to hear people say that our table “even looks like Morocco.” We served about 150 people. A nice number of folks even picked up our recipes handouts.